The Forza Racing Championship is only less than a week from gracing our screens once more with the 2018 Pre-Season Invitational Presented by IMSA on March 24th. 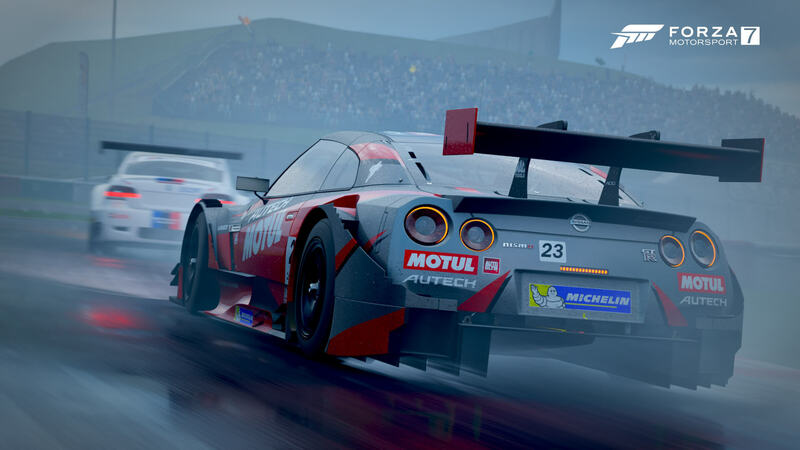 Last Wednesday, Turn 10 Studios and Gfinity shared details on the upcoming 2018 season in an exclusive livestream on Mixer where fans and competitors could learn more about this year’s competition season of racing action on Forza Motorsport 7. 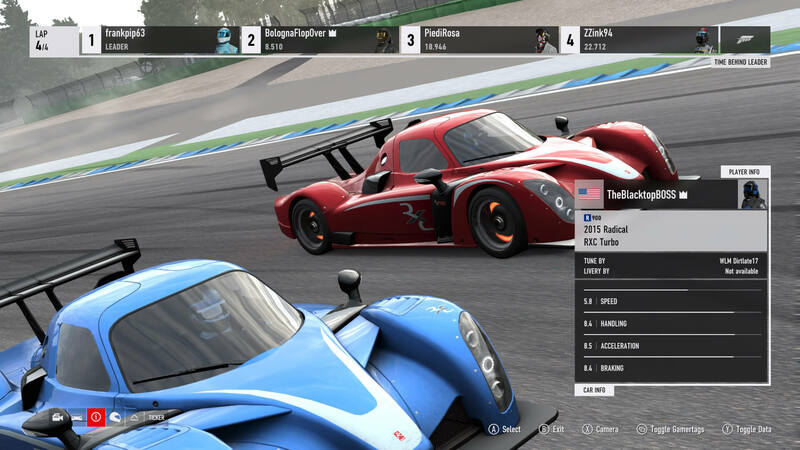 The livestream featured Turn 10’s Community Manager Brian Ekberg and Design Director Elliott Lyons who were joined by ForzaRC’s Project Manager Evan Thorogood from Gfinity, more commonly known as Raceboy77 by the Forza community. The broadcast is now available to watch in full on demand, and you can find the full YouTube video of it above handily embedded into this article. 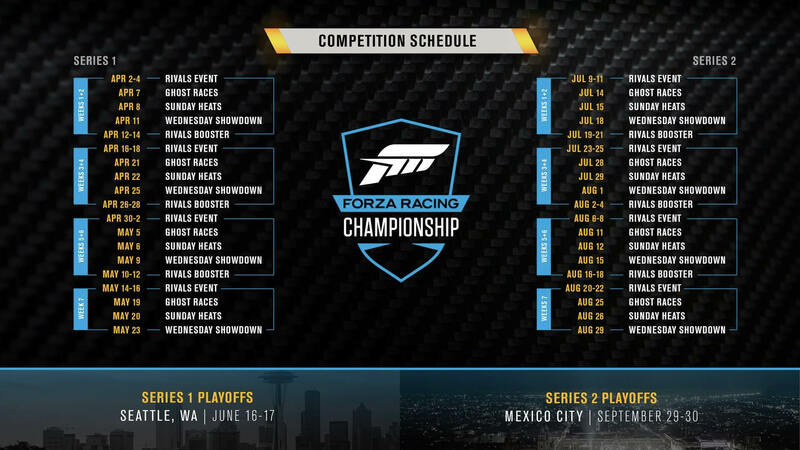 With more than $250,000 in prizes on the line, the 2018 season of the Forza Racing Championship features a new tournament structure with a mix of Rivals qualifying events, weekend Ghost and Simulation racing, and Booster Rivals events that will allow competitors to score additional Forza Points after the Wednesday Showdown events. Racers will earn Forza Points on the ForzaRC Global Leaderboard, which will be updated regularly on the official website for Microsoft’s competitive esports racing series. Those leaderboard standings and point totals will be updated after every Booster Rivals event, giving all players worldwide a look at where they stand in the competition. As mentioned at the top of this story, we’re less than a week from the ForzaRC 2018 Pre-Season Invitational! Nineteen of the best drivers from Forza Motorsport 7 have been invited to compete in Seattle, Washington – the home of Turn 10 Studios on March 24th. The event will be broadcasted from its “brand new purpose-built studio for the first big ForzaRC event of the year.” FullThrottle will also be joining the drivers in Seattle to bring you live updates and exclusive coverage. Turn 10 has teased that fans can expect “familiar faces, special guests, and some new formats” during the Pre-Season Invitational, which have been designed to take competitors out of their comfort zone. For example, team play competition is being introduced for this one, with four teams each featuring three drivers. Teams each have three cars to choose from, and each car can only be used once in a race. Viewers will also have the ability to vote on the car and track combos for certain races, as well as the enabled weather conditions.